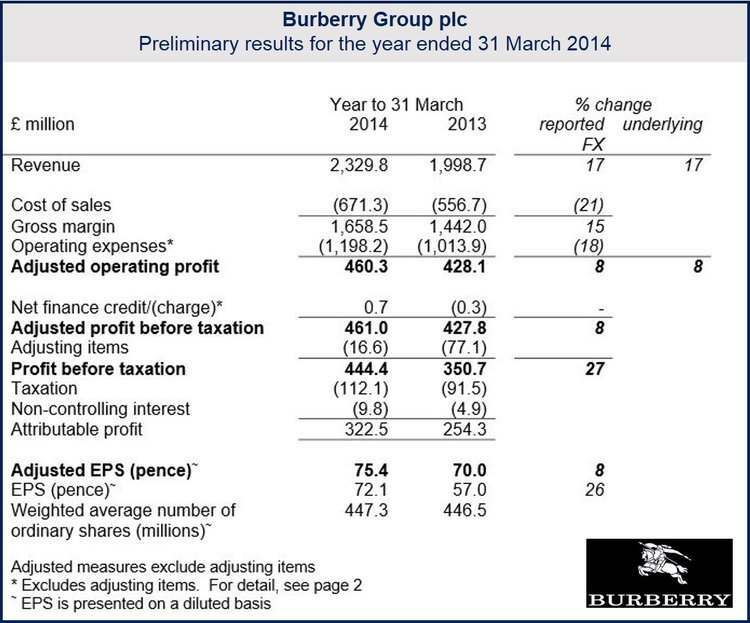 Burberry announced record profits and revenue for the year ending on March 31st. Pre-tax profits were £461 million ($778 million), an 8% increase over the previous year’s £428 million ($722). Revenue grew by 17% to £2.33 billion ($3.93 billion). However, the British luxury fashion brand warned that unfavorable exchange rates may hurt profits for this year, while increased investment may lower margins. If exchange rates stay at their current levels, profits for the coming year may be “materially” affected, the company said. Investments in digital platforms and customer service may hit margins, which over the last 36 months have increased, it added. 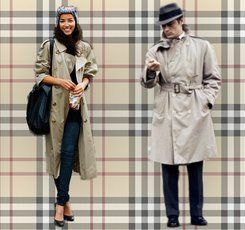 Burberry is most famous for its trench coat, which was designed by founder Thomas Burberry (1835-1926). Retail sales, which accounted for 70% of total revenue, increased by 15%. While the number of customers entering retail outlets (footfall) remained weak, more of them bought goods, and their average spend increased. Moving the beauty business from licensing to a direct operation. Efforts at integrating its physical and digital presence. Burberry says it plans to concentrate on growing the Japanese market this year, particularly in its two major cities, Osaka and Tokyo. Burberry says it plans to increase revenue to £100 million ($169 million) in Japan by the end of this year. If it manages to do so, growth will have quadrupled. It plans to open between 20 and 25 mainline stores during this financial year, and close from 15 to 20. Openings are planned mainly in flagship markets and travel retail. It will also focus on widening the range of products in its stores in the Middle East and China. Capital expenditure for fiscal year 2015 is planned at approximately £200 million, of which around three-quarters will be in retail, the company announced. In the year ending in March, Burberry opened 18 shops and concessions in mainland China and closed nine. There are now seventy-eight stores and concessions in China. This year, it plans to open from 5 to 10 stores and concessions and shut down about 15 older, smaller stores. Burberry described the Brazilian market as “challenging”, but says it continues to invest there. Investments in direct operations are also underway in other “under-penetrated” markets, including Mexico, Thailand, Chile, Colombia, Indonesia, Egypt, Barbados and Indonesia. Approximately 60% of revenue came from retail, with “high single-digit” growth. In the US, domestic consumers account for approximately 90% of transactions, where digital penetration is more than twice the group average. There were 78 stores in the Americas at the end of March 2014, the same number as in the previous year. Three small stores were closed in the US, while one opened in Brazil and two in Mexico.